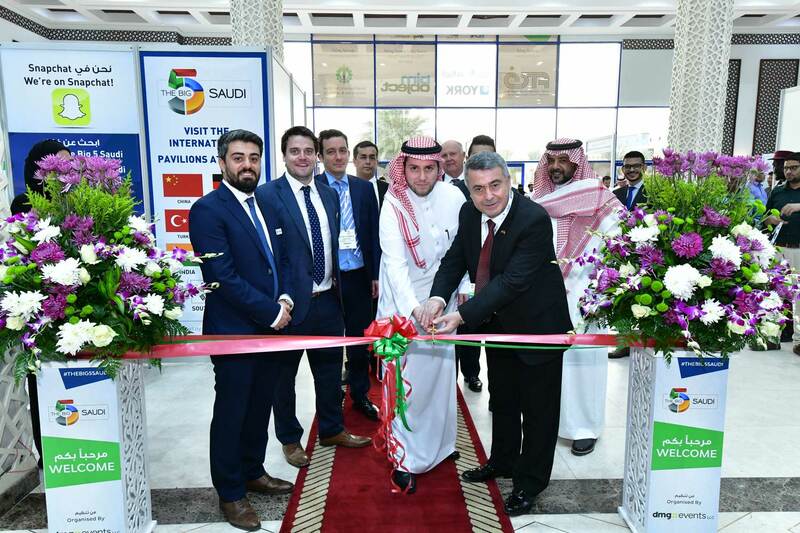 The ninth edition of The Big 5 Saudi, the leading construction event in the Kingdom, officially opened its doors today at the Jeddah Centre for Forums & Events. The exhibition, which gathers a record number of participating countries this year, will run until March 13 and is expected to welcome over 14,000 visitors. “The projects introduced by the government during the past period have achieved a boom in the market, and enabled the large as well as medium and small sized construction companies to take part in it. The Kingdom's Vision 2030 has contributed significantly to the reformation of the construction sector and provided it with the potential to take advantage of the best investment opportunities. “Going forward, we will witness further growth in the contracting sector, contributing to the construction of new real estate units, hospitals, schools, universities and new parks, thus creating a growing demand of construction products, machinery and equipment,” Alshawaf added. This year, the event features 300 exhibiting construction companies showcasing the latest innovations for Saudi Arabia’s building industry. It also offers 80 free and CPD certified workshops delivered by local and international thought leaders, and dedicated to “Educating and empowering construction professionals to achieve Saudi Vision 2030”. The unprecedented international participation and record-breaking education agenda at The Big 5 Saudi come in the backdrop of the Red Sea project’s initial building operations’ announcement. As the Government launches new infrastructure developments in the Kingdom, the Saudi Vision 2030 has turned into a powerful catalyst of attention for the global construction industry. “Since its launch nine years ago, the event has grown into the leading annual meeting place for the global construction community to network, learn and do business in Saudi Arabia. “Mega projects like NEOM, the city planned over 26,500 square kilometers in Tabuk, along with the thousands already under construction across the country, are pushing the demand for innovative building solutions in Saudi Arabia,” said Eng. Abdullah Sulaiman Al Araifi, Managing Director of Al-Jazera Factories for Steel Products Co. Ltd (JASCO), one of the first steel factories in Saudi Arabia. “For these reasons, JASCO is ready to take place in the existing and future projects with all of capacity and we are planning to expand for our factories over all the KSA not only the total area but alongside with the modernist machines, Eng. Abdullah added. “The Big 5 Saudi is an important industry event, which provides Al Fouzan the opportunity to discuss best practices in construction innovations. The Saudi Standards, Metrology and Quality Organization (SASO), the Saudi Building Code National Committee (SBCNC), and the GCC Standardization Organization (GSO) also participate and support The Big 5 Saudi this year, paving the way for the future development of the Saudi construction industry. "It is important for Saudi Standards, Metrology and Quality Organization (SASO) and for the Kingdom as a whole to support and enhance Saudi Vision 2030 at this time. “The role of SASO towards this goal is to help the manufacturer himself adopt the same approach. We implement this through a variety of initiatives, whether it be the issuance of new standards on energy efficiency, raising awareness in the media or finally by holding workshops – as we do at the Big 5 Saudi 2019." To meet the evolving market demands, beyond the traditional MEP Services, Building Interiors & Finishes, Construction Tools & Building Services, Building Envelope & Special Construction, The Big 5 Saudi 2019 introduced the all new Heavy Equipment, HVACR Equipment, Smart City Technology, Solar Equipment, and Urban Design & Landscaping Equipment zones. Also, the education agenda provides quality training and insights on a number of hot industry topics, including General Construction, Architecture & Design, HVAC-R, Solar, Technology, Smart Cities, Women in Construction, Project Management, and Sustainability. The Big 5 Saudi 2019 is supported by GASCO (Official Sponsor), Al Fouzan Trading & General Construction Co. (Gold Sponsor), Astrolabs (Entrepreneurship Partner), Al Salem Johnson Controls (Registration & Lanyard Sponsor), the Saudi Standards, Metrology and Quality Organization (SASO), the Saudi Building Code National Committee (SBCNC), the GCC Standardization Organization (GSO), and the Jeddah Chamber of Commerce. Organised by dmg events, the ninth edition of The Big 5 Saudi takes place from 10-13 March at the Jeddah Centre for Forums & Events.